What another great weekend at Crick! 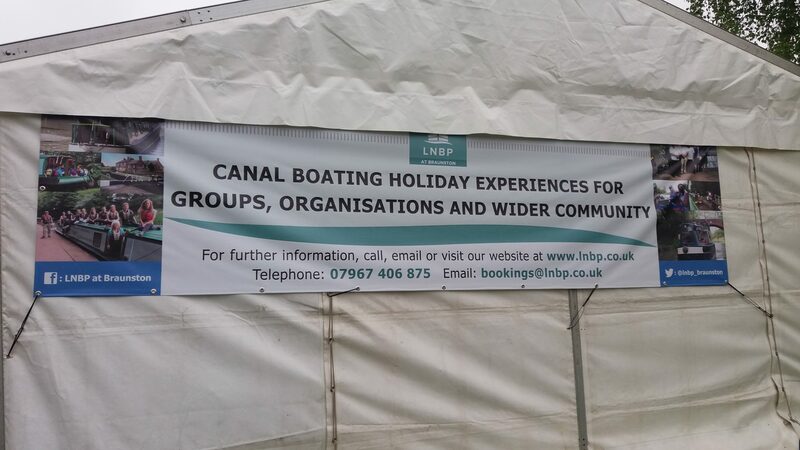 Once again the LNBP Community Boating team were present over the Whitsun bank holiday weekend at the annual Crick Boat Show and Waterways Festival, held at Crick Marina in Northamptonshire. Our team started to assemble at Braunston on Wednesday before making their way to Crick on Thursday. 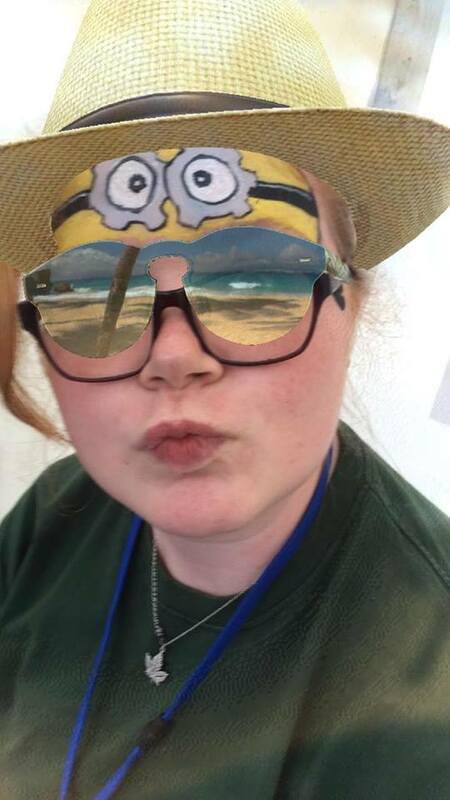 Friday was ‘set-up day’ with the main LNBP ‘booking tent’ – with food stocks and face painting – readied for the busy weekend ahead, along with Guinevere being given its final touches inside and out, the camp site set up and the trip boats brought in, positioned and checked in. As ever the free boat trips – which once again LNBP Community Boating operated – were fully booked each day. We handed out all 830 tickets for the trip boats over the weekend, including an extra boat on Sunday which made up for the BBC boat on Saturday. In addition 21 dogs were also on the boats! It is thought with these figures that this is the first year that we have hit 100% utilisation. Even then, a record was kept on Sunday of the number of people who asked for tickets after they had all been taken, which came to over 200. So once again it is fair to say that the trip boats are a hugely popular attraction at the Show. 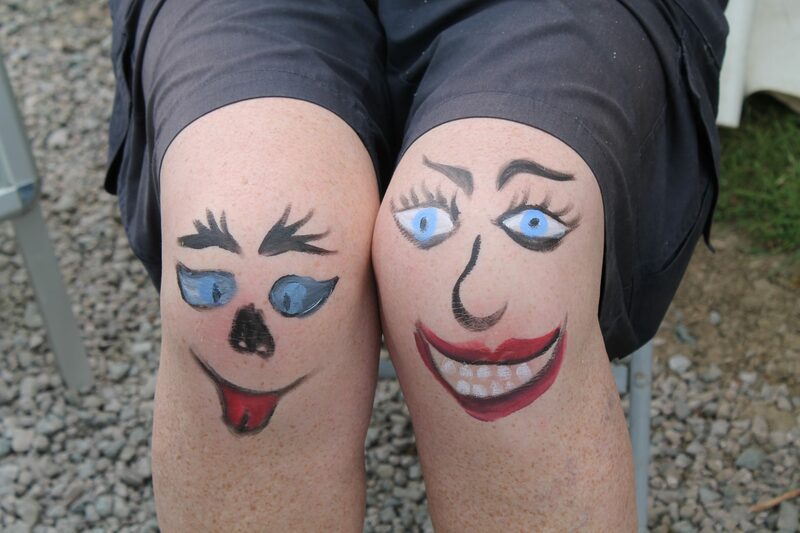 The same goes for our face painting with our small army of artistic face painters creating a whole myriad of designs and looks, for children and adults alike, right across the weekend. And of course one of the reasons we are also in attendance at Crick is to showcase and promote who we are, what we do and can offer. 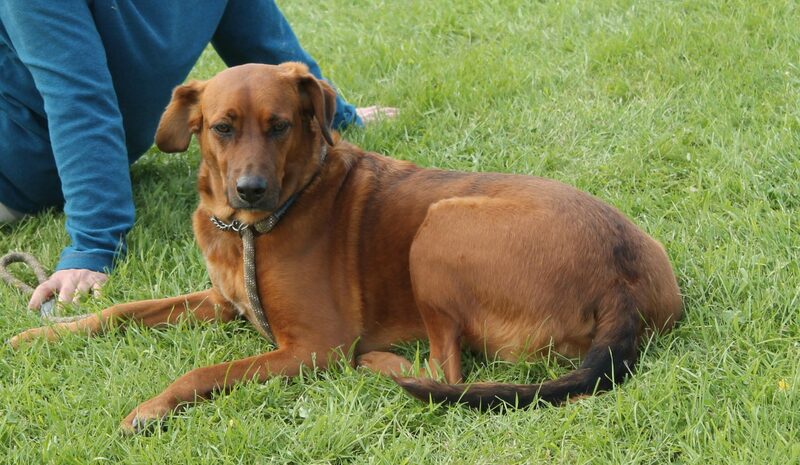 It was great to see so many show visitors once again come by our tent and Guinevere take a real interest in us, asking many questions as they did and take our promotional literature away with them. We hope that the large number of enquiries we have received will prove fruitful for this and next year, and that many more of those people who we talked to will also come and join us for a trip in the not-too-distant future. The Show’s Organisers reported that 2017 saw the highest attendance for many years with the official attendance being a whopping 27,167 across the 3 days. The weather behaved itself (almost anyway!) with Saturday and Sunday enjoying great fine conditions, even if there was a little rainfall on Monday afternoon on an otherwise muggy and cloudy day. Once again there was a record number of exhibitors and the number of boating related exhibitors was also up on 2016. As ever in addition to the boat trips being fully booked each day as mentioned, the boat handling taster sessions were again sold out months ahead of the show. The seminars proved as popular as ever with almost 2,000 people attending, almost all sessions had standing room only. Online moorings were also sold out well in advance of the Show and the campsite was also fully booked in advance for the Saturday night. All in all there was a real air of excitement and vibrancy at this year’s Show and we can wait for next year’s renewal of the Crick Boat Show, which takes place on 26th to 28th May 2018.